Check back throughout the week for MacBreak's ongoing coverage of Macworld 2007 in San Francisco. Just a reminder that tonight's live taping of MacBreak Weekly takes place at 21st Amendment starting at 6pm. If you're planning to come to the taping, my advice is to get there early, because we're anticipating a capacity audience (that's a big reason everyone agreed it was better not to do this event at the Apple Store on Steve Day). Leo, Alex, Scott, and I will be discussing today's announcements and may even have some guests. A propos of nothing, I will also take this opportunity to remind Mr. Bourne of his (often repeated) promise to buy everyone on MBW an iPhone on the day that they come out. Just saying. 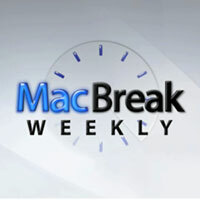 If you come out tonight or see me on the Macworld show floor with MacBreak today, please say hi and introduce yourself. I'm a far from prolific contributor to the personal podcasting scene, but 2006 brought several episodes of the podcast that people seemed to enjoy and that I'm pleased to have made. If you're new to 43f's podcast (subscribe for free) or just want to amble down memory lane with me, here's my five favorite episodes from this past year. Unexpurgated, unedited and, as ever, featuring candid depictions and the occasional swear; because sometimes productivity talk is just NSFW. Download MP3 of "Productive Talk Compilation"
As promised, here's the single-file compilation of the Productive Talk podcast interviews I did with David Allen, the author of Getting Things Done. The final version's eight episodes clock in at a considerable one hour and twenty-six minutes, so this should give you plenty to listen to while you're in line at the DMV. Productive Talk #08: GTD 2.0? 43 Folders and The David Allen Company present the eighth in a series of conversations that David and Merlin recently had about Getting Things Done. Grab the MP3, learn more at Odeo.com, or just listen here (after the cut). If you bend David Allen's ear for more than 30 seconds about GTD, you'll hear some variation of a phrase that I heard a lot over the couple days we hung out in Ojai: "It's all in the book!" Say what you will about The David, but he is not a man who suffers from The George Lucas Complex. Much to the consternation of his publishers, his fans, and -- one suspects -- even some of his colleagues, David feels like he has already written the complete and definitive work on the Getting Things Done system. And he very clearly has no desire to futz with that basic system without a good reason; it's sound and complete, as is, and there you go. Next subject. And, I have to say, in a lot of ways, I've come to really admire this. 43 Folders and The David Allen Company present the seventh in a series of conversations that David and Merlin recently had about Getting Things Done. My favorite bit in this one (jump to 1:38) is where we learn that some of David's best stuff seems to have had a genesis in an unlikely place -- from his tenure as the manager of a gas station, back in the day. 43 Folders and The David Allen Company present the sixth in a series of conversations that David and Merlin recently had about Getting Things Done. In this episode David and I talked about interruptions. How you can minimize the bad interruptions and make the best of the good ones. In this episode, David makes the excellent point that if interruptions are a baked-in part of your job, they shouldn't necessarily be seen as a Bad Thing. It's just something you need to prepare for by "clearing the decks" in a way that opens you up for the opportunities and game-time input that new information can bring into your world. Something not to miss -- David is just truly a whiz at changing gears based on his own system. If new stuff interrupts what he's currently working on, he scoops all the current work back into "pending," and basically says "Bring it on!" 43 Folders and The David Allen Company present the fifth in a series of conversations that David and Merlin recently had about Getting Things Done. In this episode, David and Merlin talk about email. We learn that David coaches people to deal with a high volume of messages by treating them like you would any other input. Email was one of the topics that I was most interested in talking to David about, and I found his responses to my questions thought-provoking. David makes the case that email is basically just another input -- like voice mail, for example -- that needs to be emptied and processed every day. That it's not substantially different (apart from how badly mostly people do it right now). While I absolutely agree on processing to zero, I think opinions may differ on the significance of email's impact on the life of the average knowledge worker. Apple updates the MacBook Pro, and Scott buys one. No wonder they've got such a great bottom line. And our application picks including Disco and Tangerine. 43 Folders and The David Allen Company present the fourth in a series of conversations that David and Merlin recently had about Getting Things Done. In this episode, David and Merlin talk about the role of GTD in teams and how to lead by example.